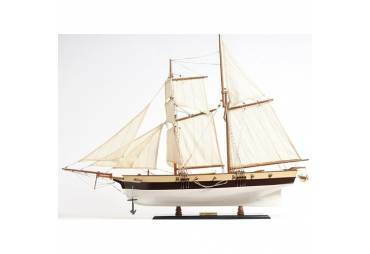 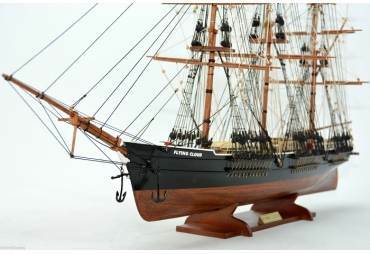 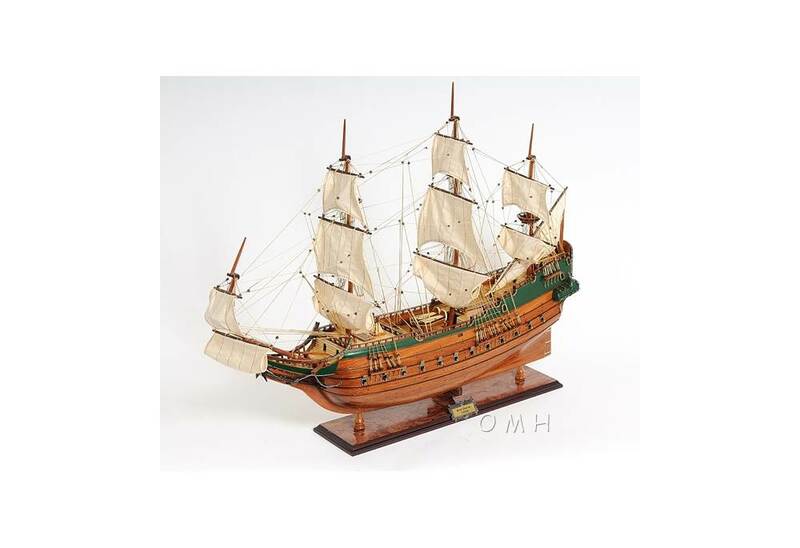 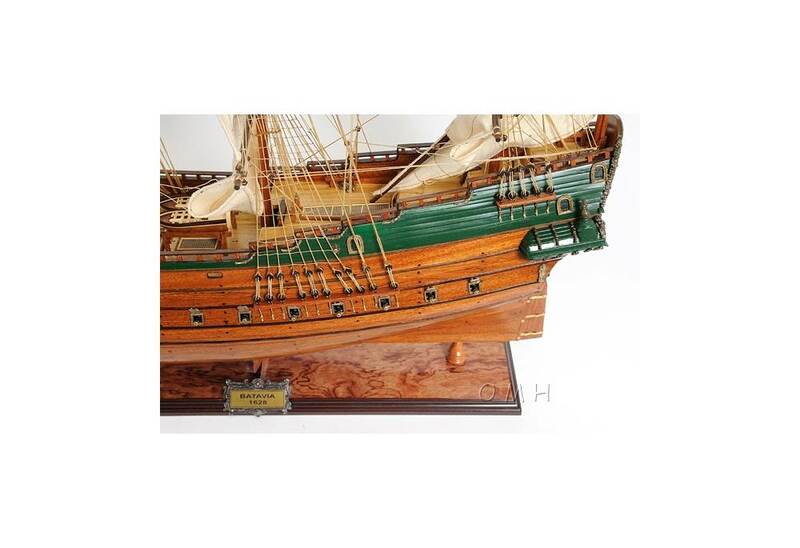 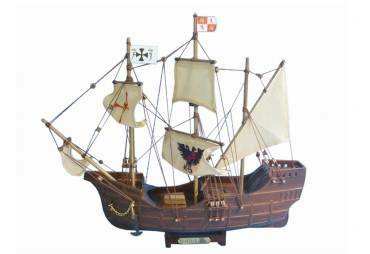 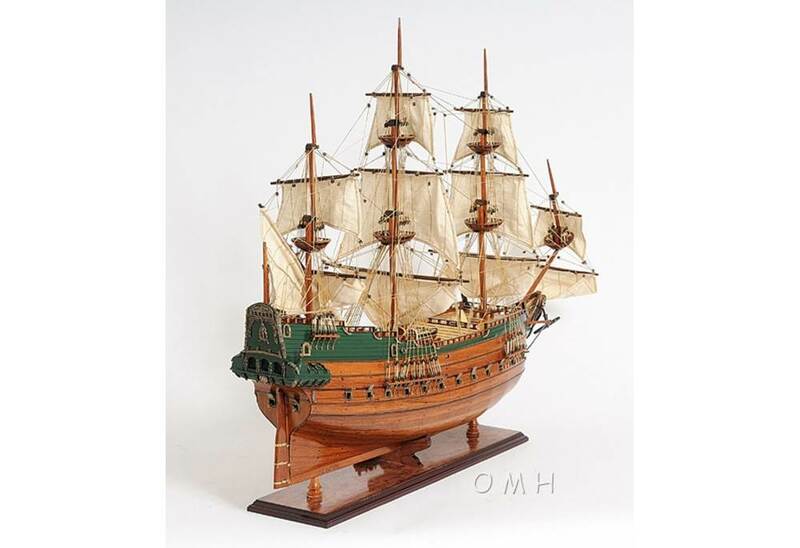 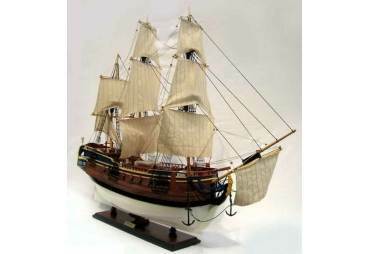 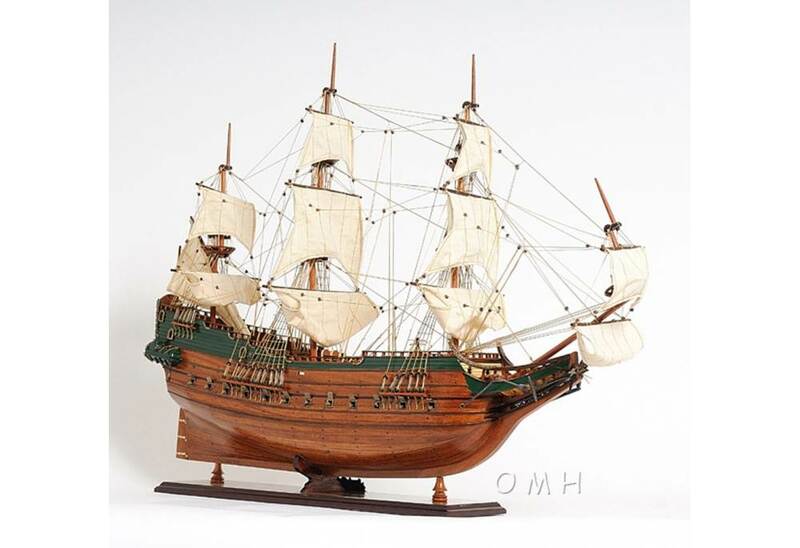 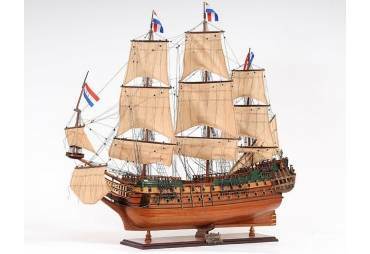 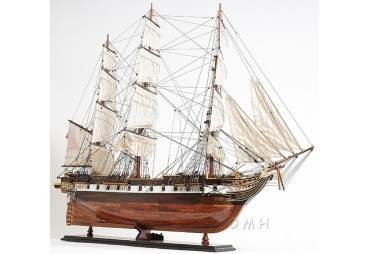 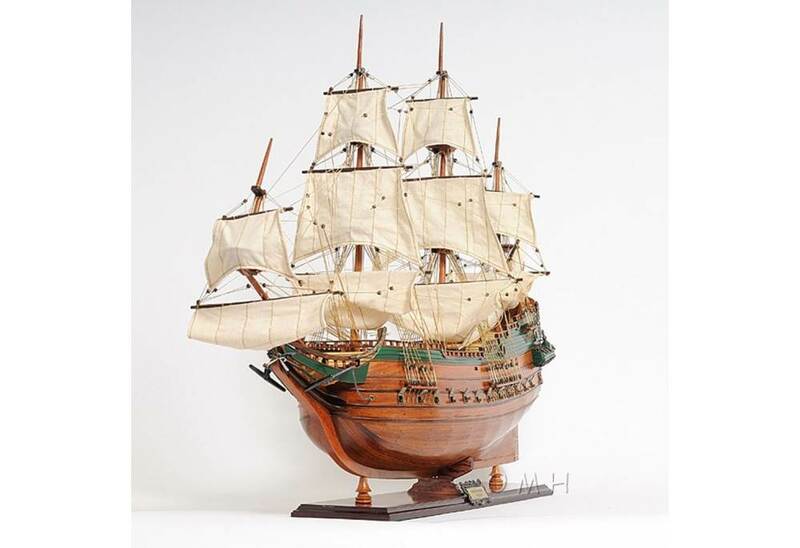 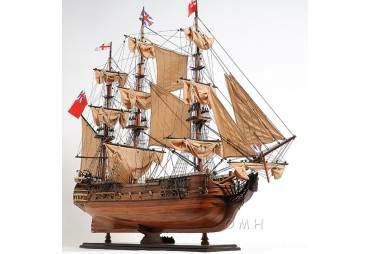 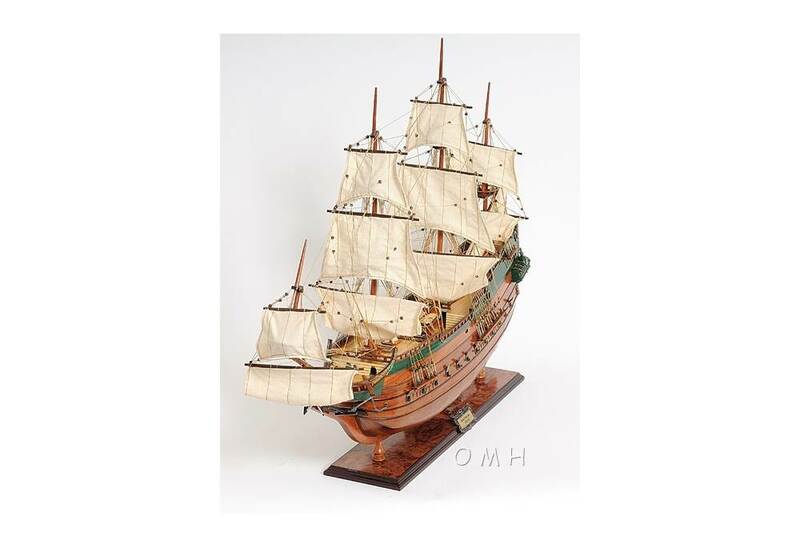 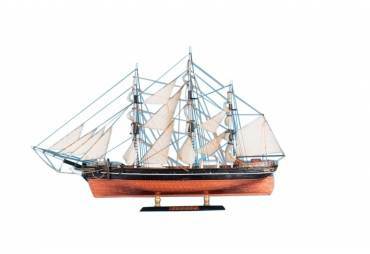 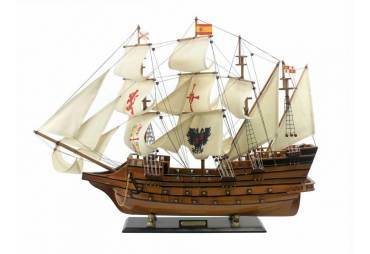 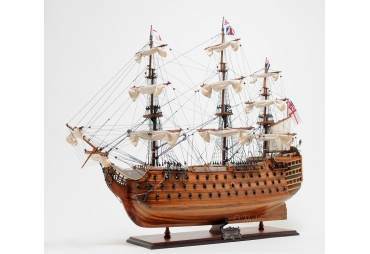 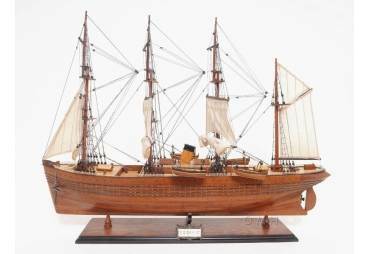 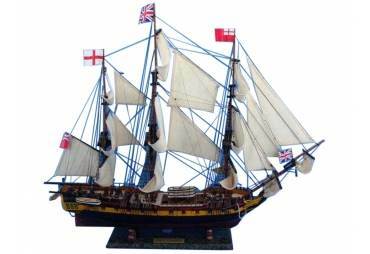 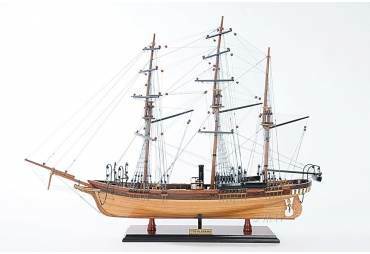 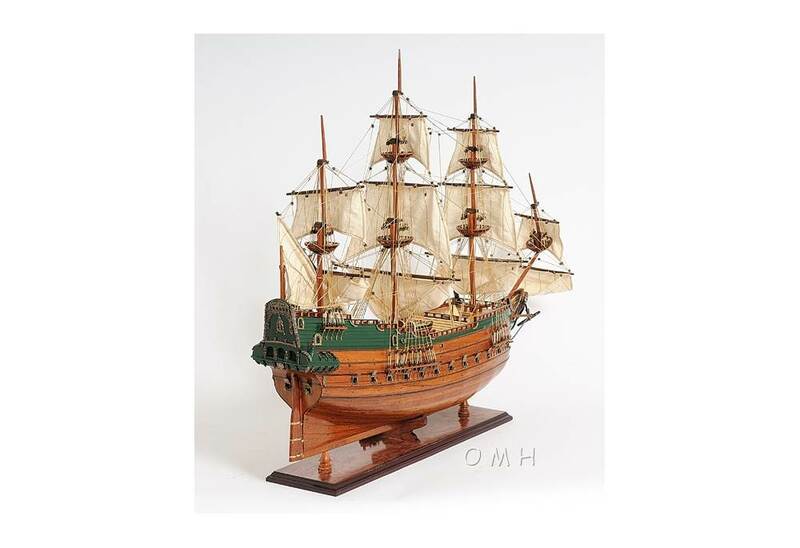 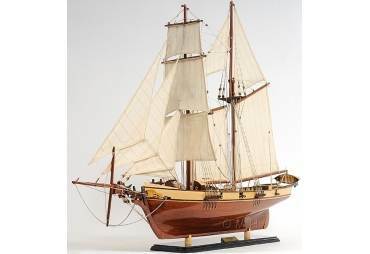 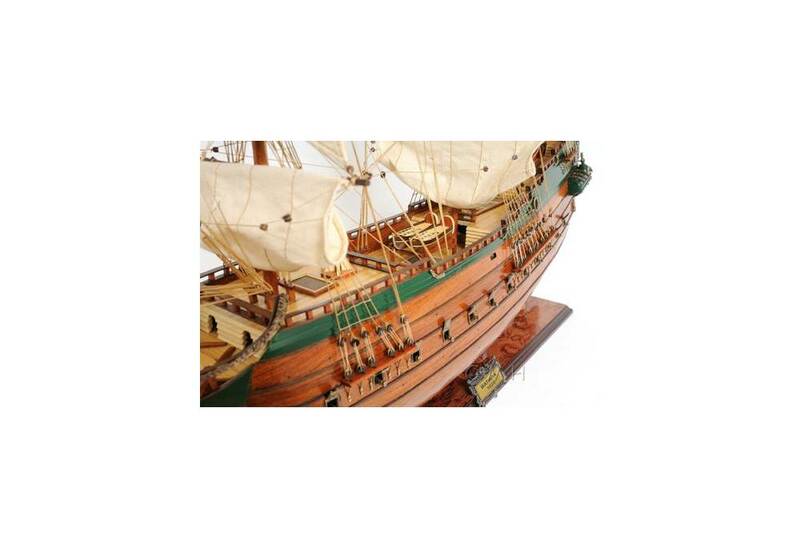 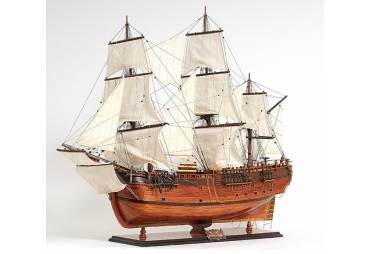 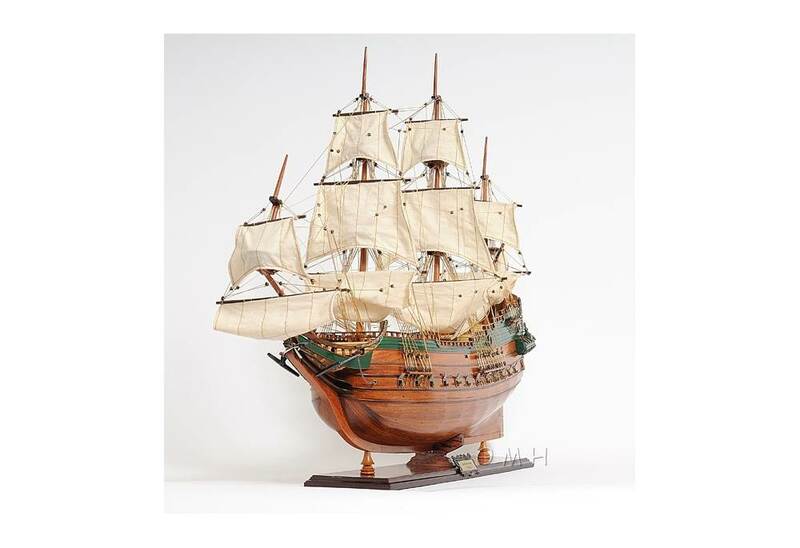 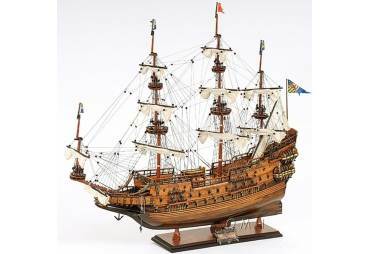 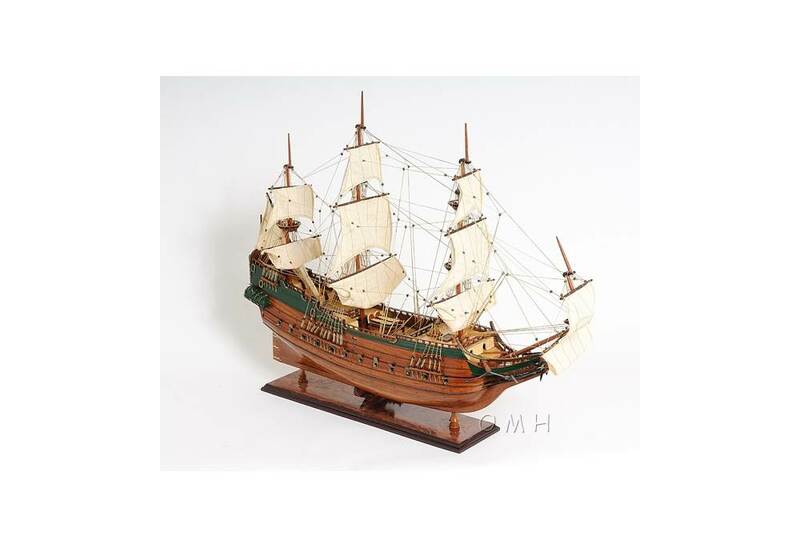 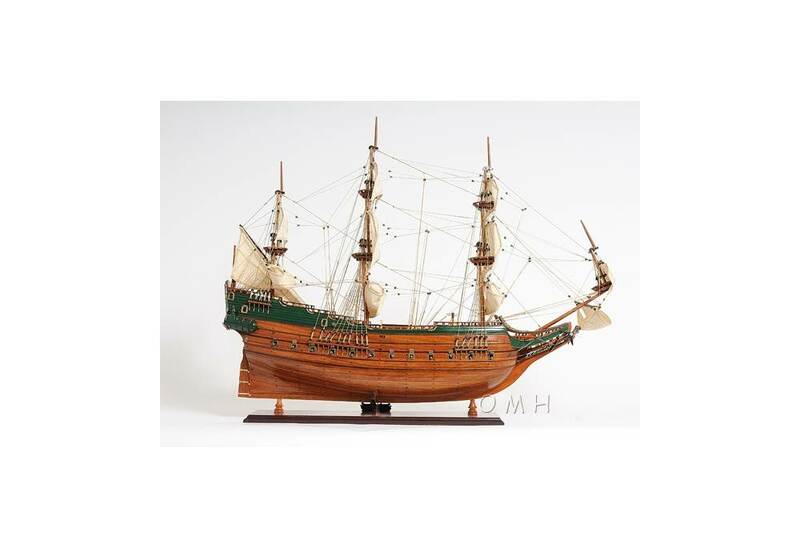 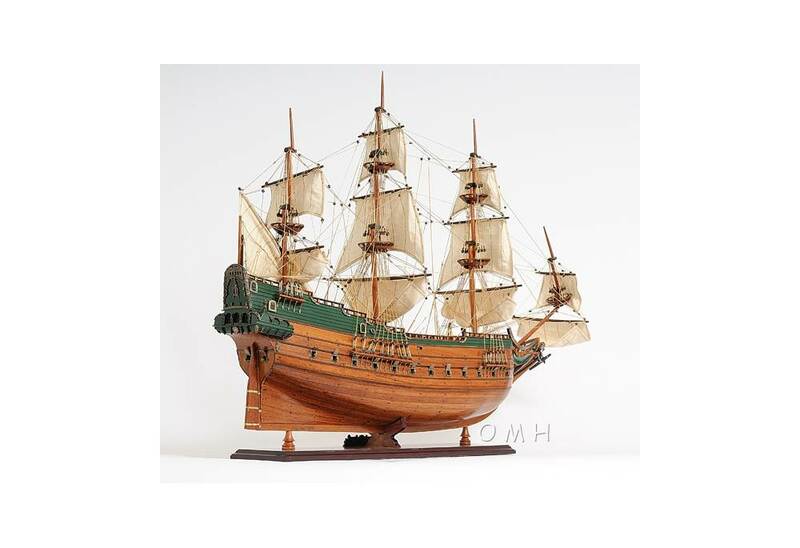 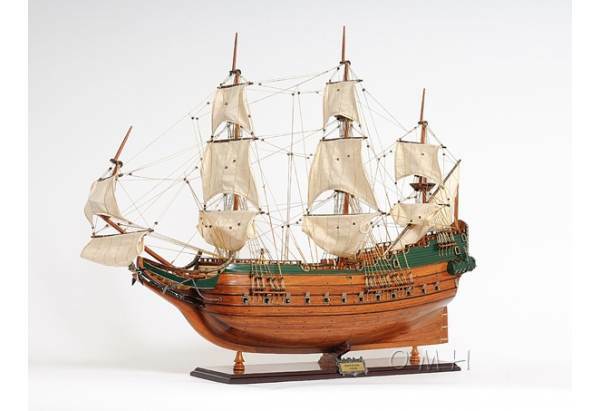 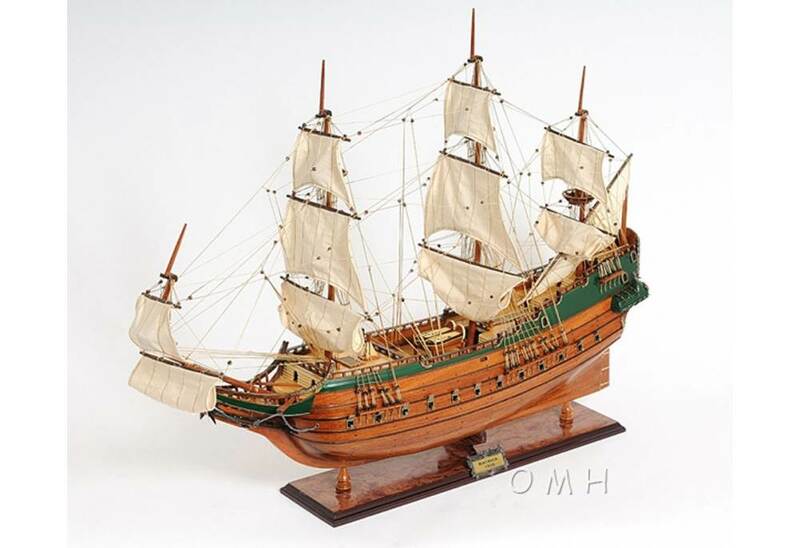 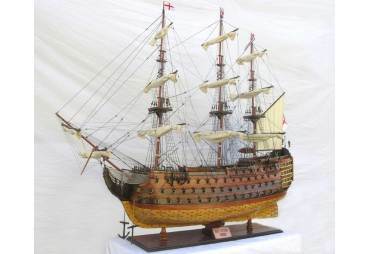 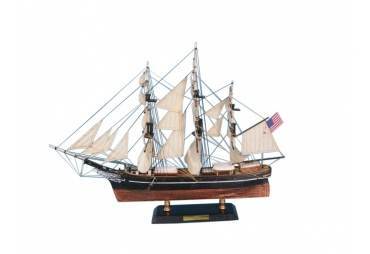 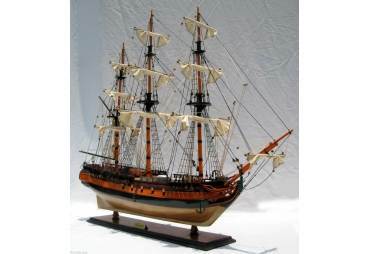 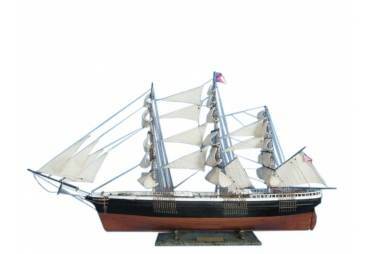 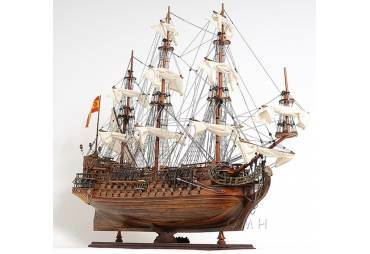 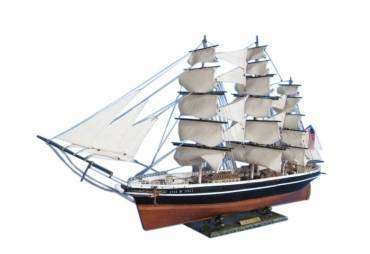 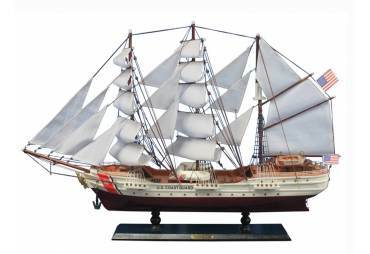 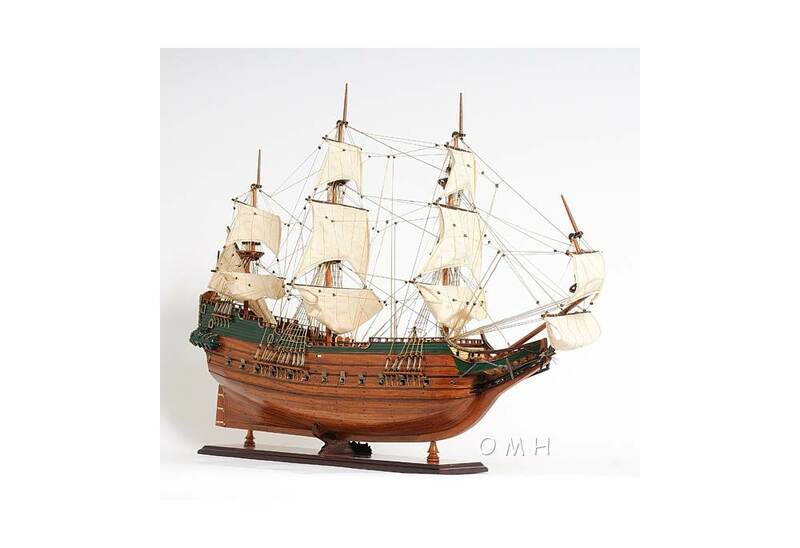 → Model Ships>Tall Ships>1628 Batavia Tall Ship 37"
1628 Batavia Tall Ship 37"
This model comes standard with a solid wood base and brass nameplate. 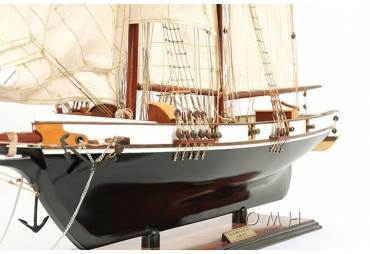 It’ll make a perfect gift for home or office decorator, boat enthusiast or passionate collector. 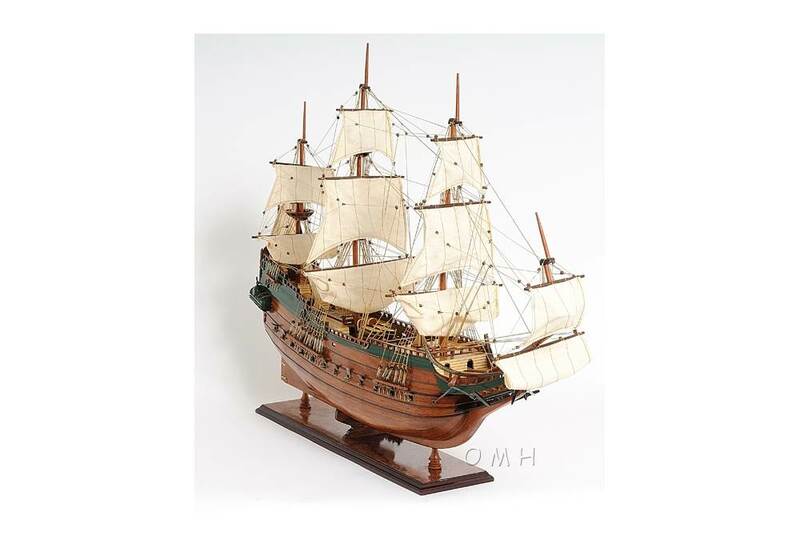 Master craftsmen using historical photographs, drawings or original plans meticulously handcraft these highly detailed wood models from scratch. 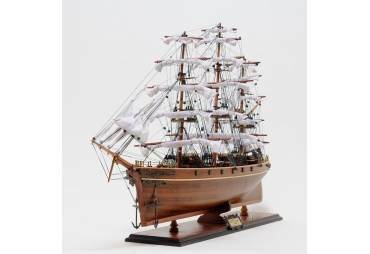 They are built to scale with high-grade wood such as: western red cedar, rosewood, and mahogany. 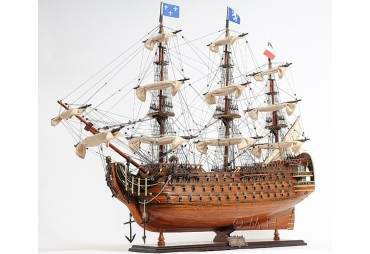 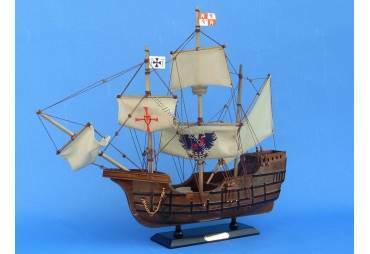 They are 100% hand built individually using plank-on-frame construction method and are similar to the building of actual ships. 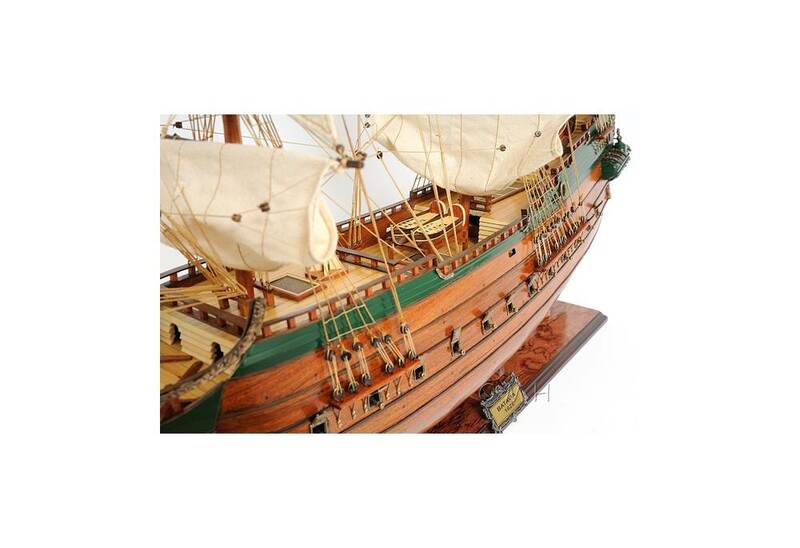 Each model requires hundreds of hours to finish and must go through a demanding quality control process before leaving the workshop. 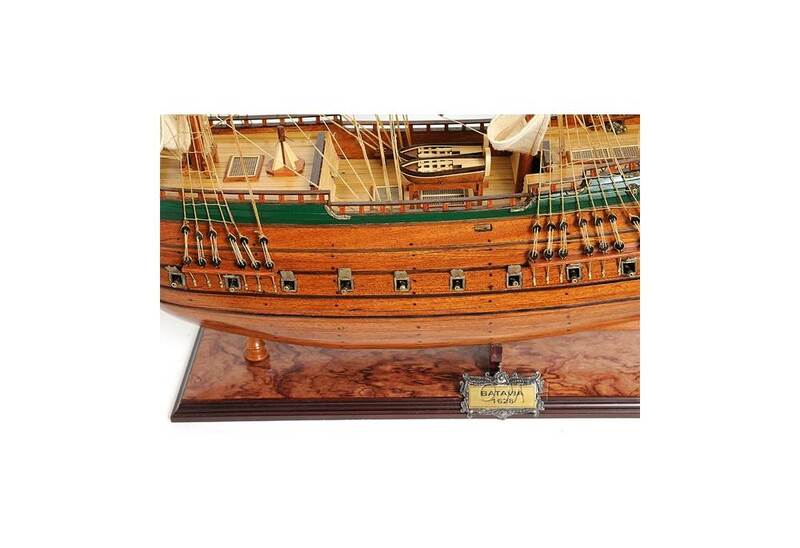 This amazing Batavia model features plank on frame, three decks, and one row of ferocious cannons on each side of the ship. 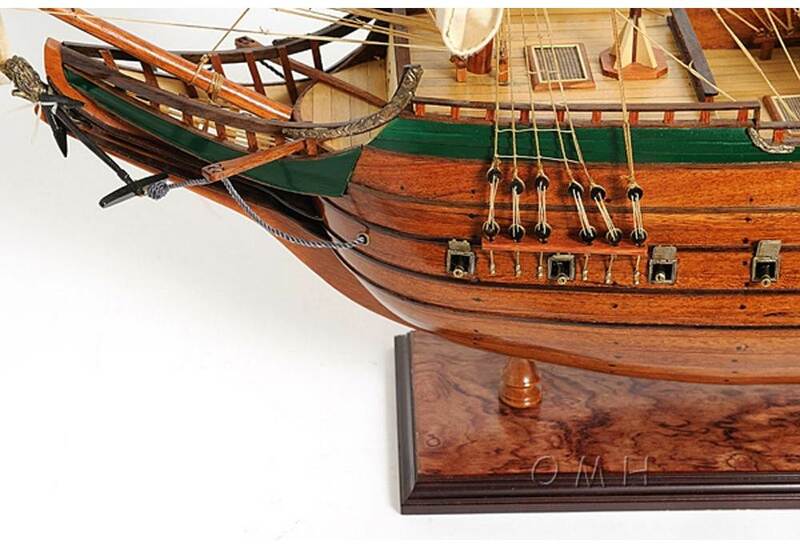 The front bowsprit and three large masts are connected securely using advanced rigging and lines painstakingly knotted and fastened by hand. 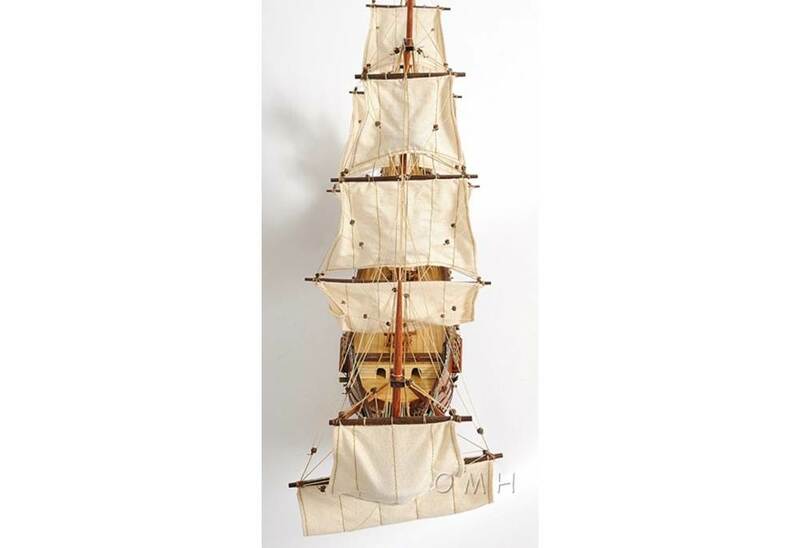 Each yard has an attached hand-stitched unfurled sails made of fine linen. 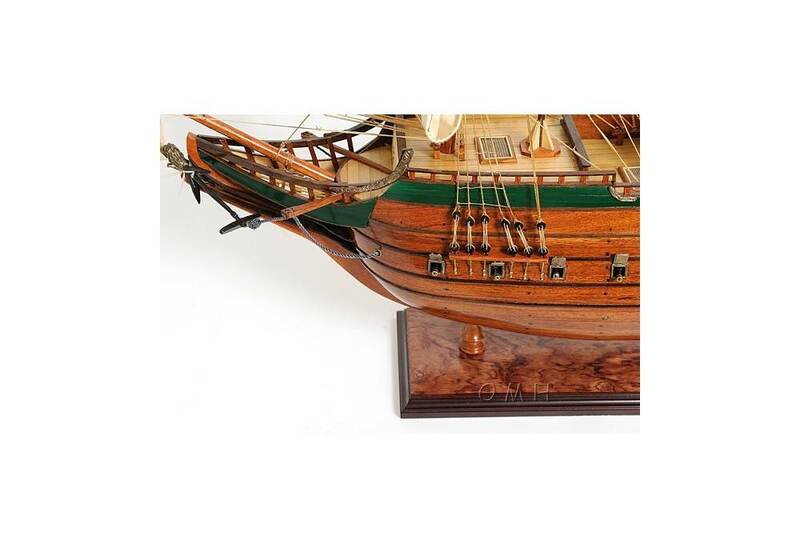 Metal anchors and a wooden rudder are visible on the front and rear of the ship. 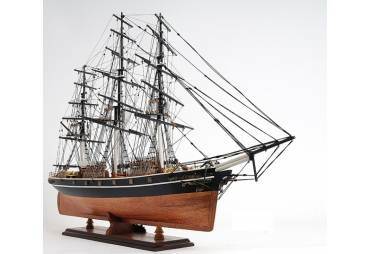 On the deck, there are metal stationed cannons, authentic hand-built lifeboats with ribs and planks, wooden windlass, and many other handcrafted ornaments.